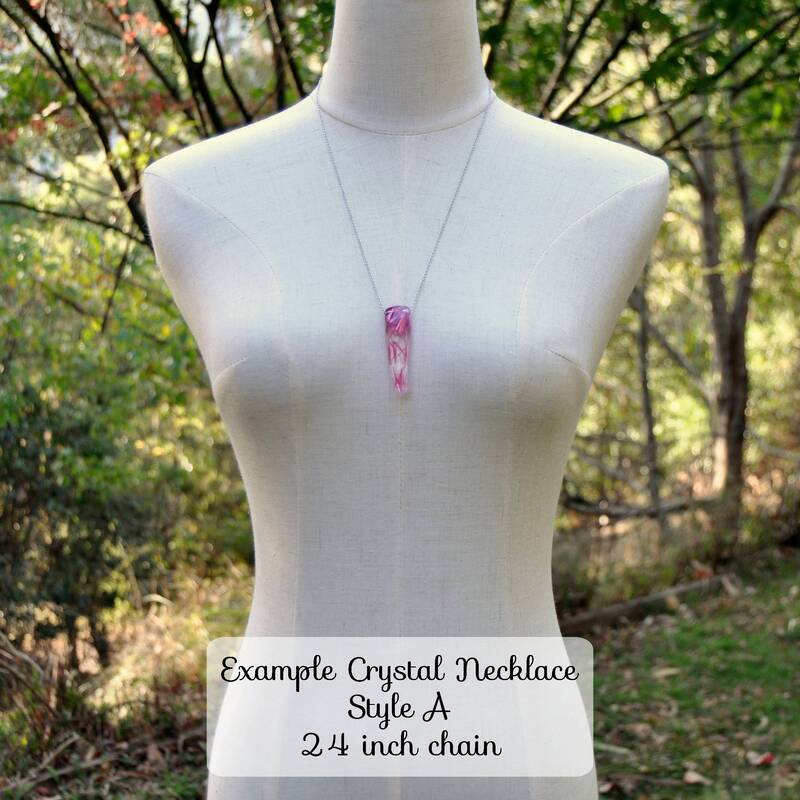 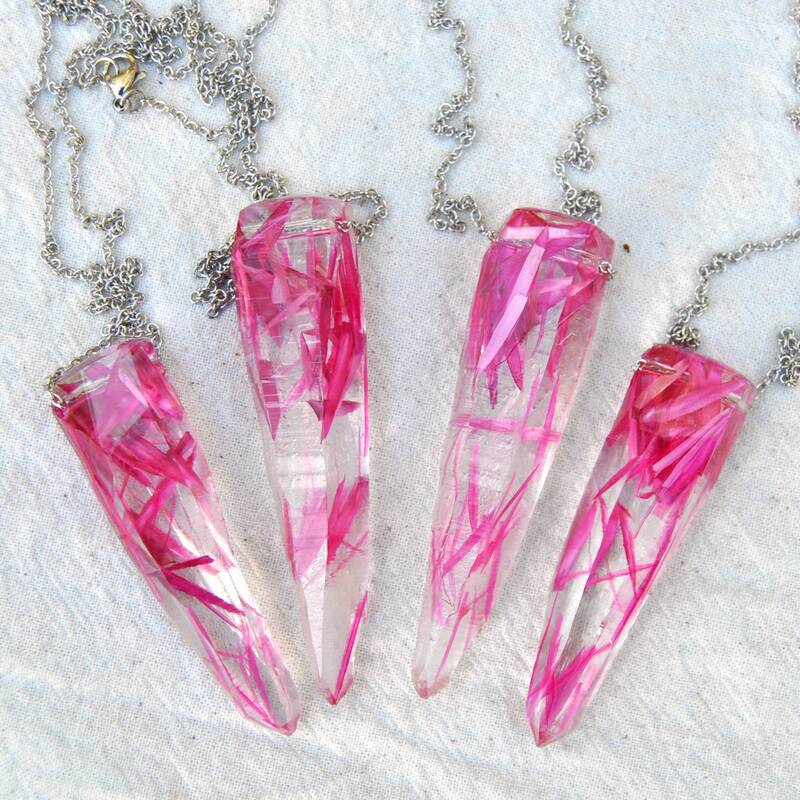 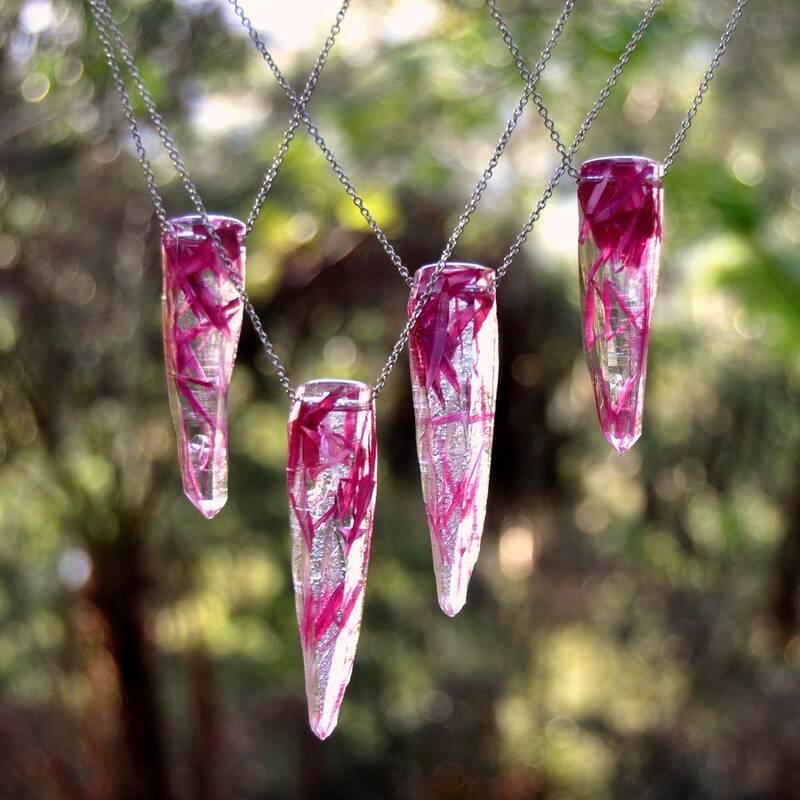 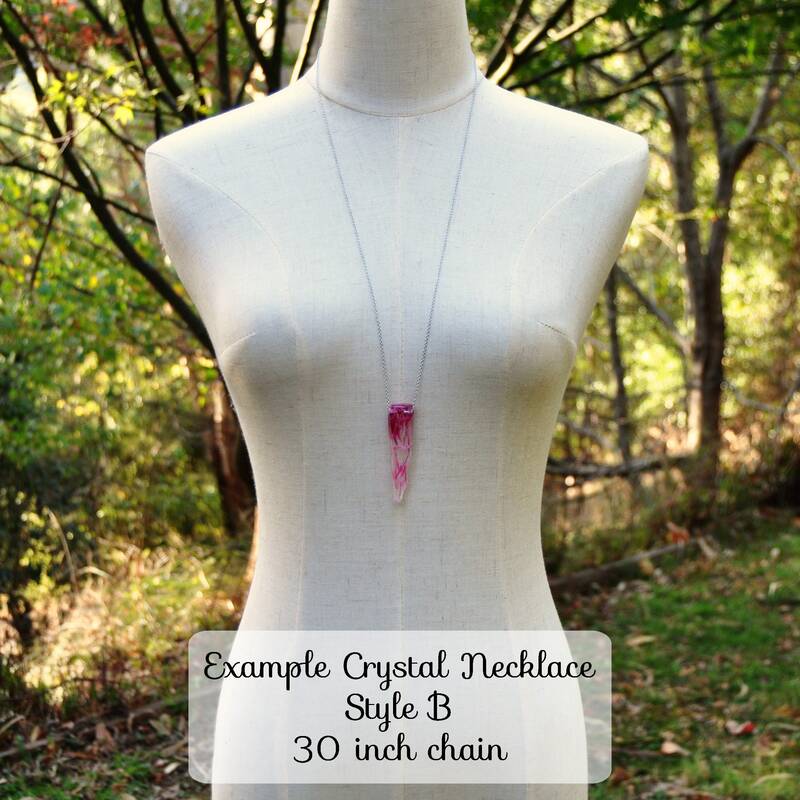 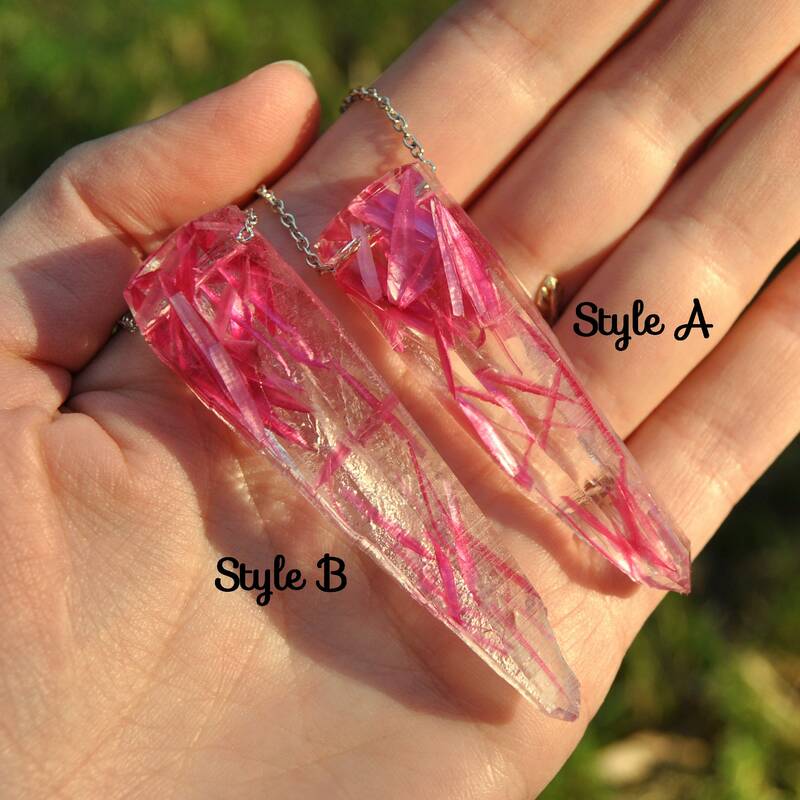 These pink crystal necklaces made as replicas in shape of genuine natural quartz crystal daggers from South Australia. 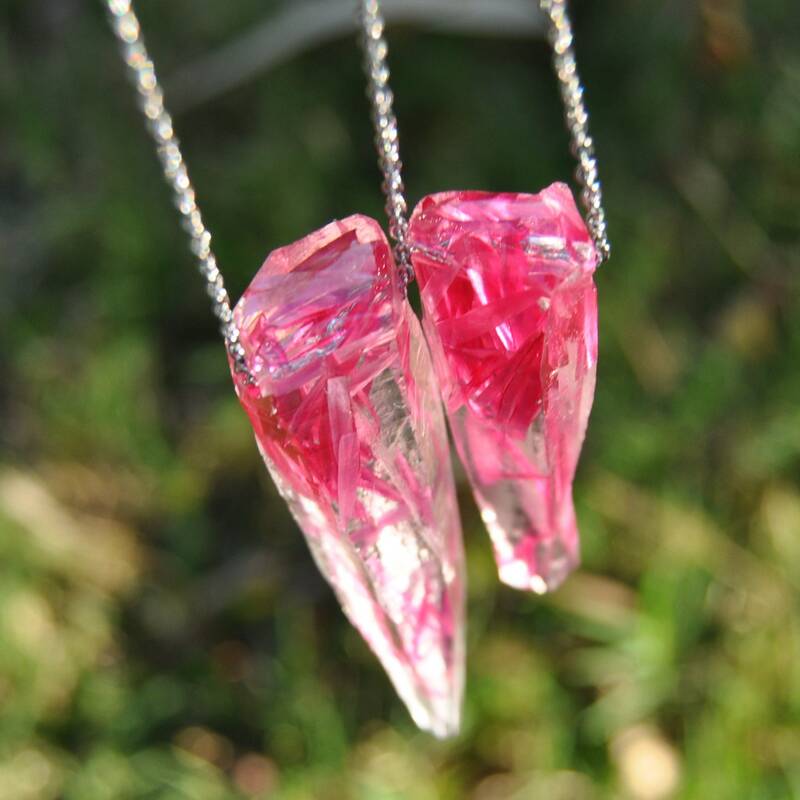 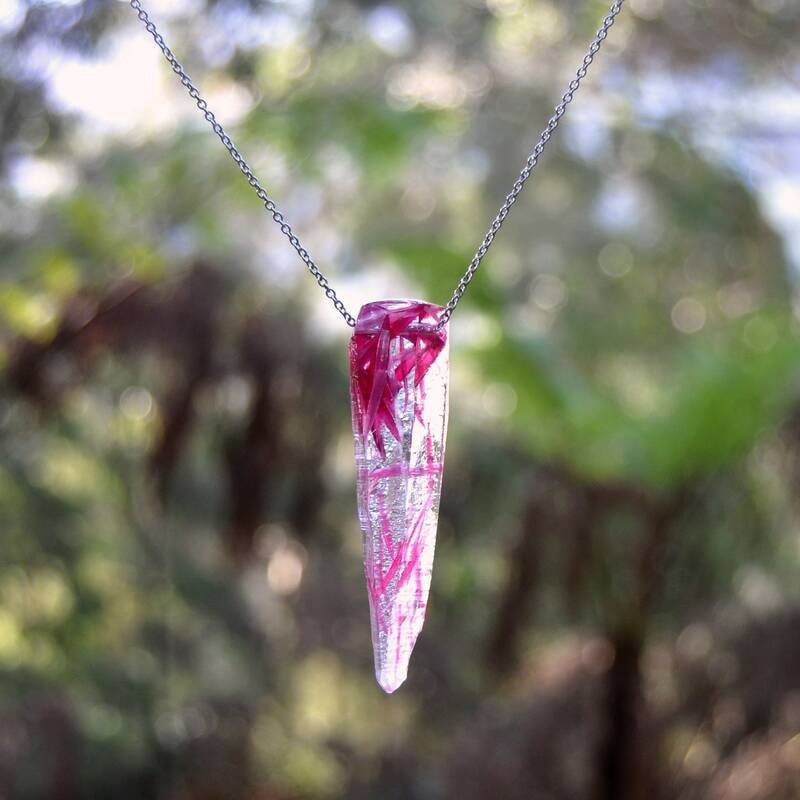 Each crystal is replicated in clear eco resin, with embedded petals of the Cape Strawflower. 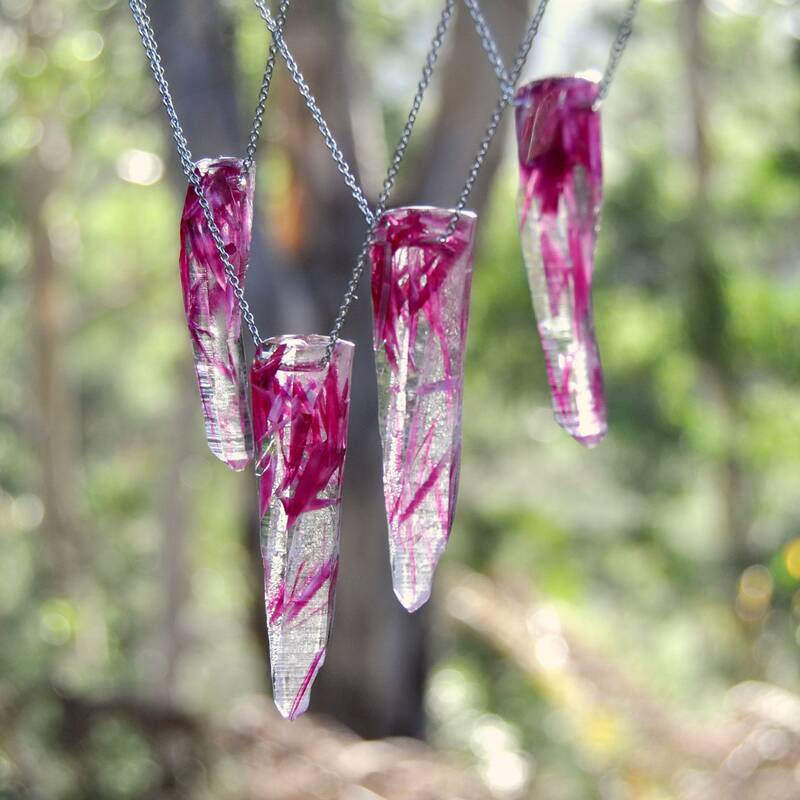 A gorgeous and bright South African plant, the Cape Strawflower is know for its ancient origins - it's the only known species of its kind. 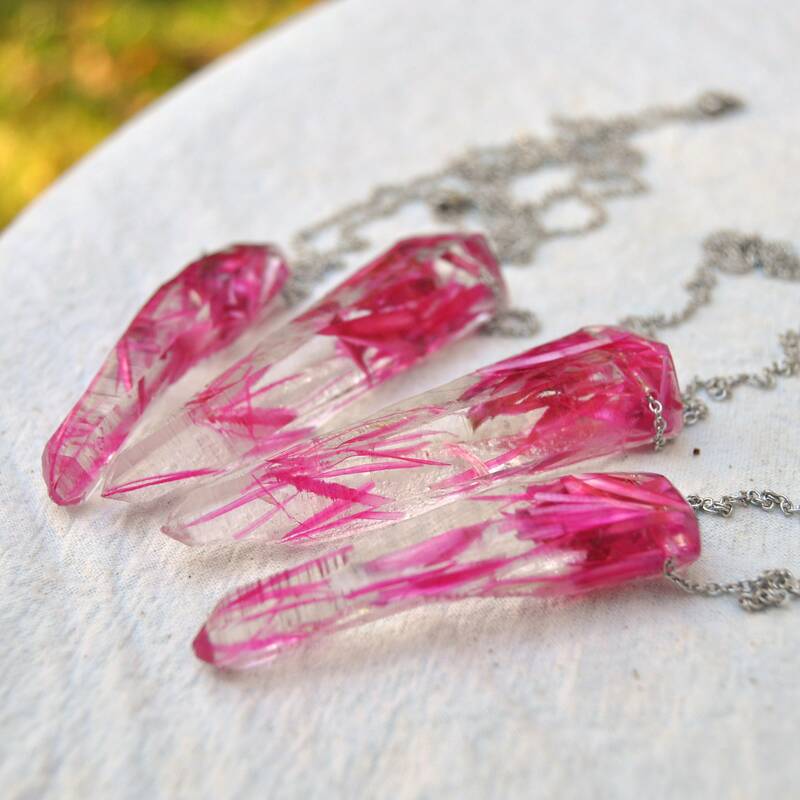 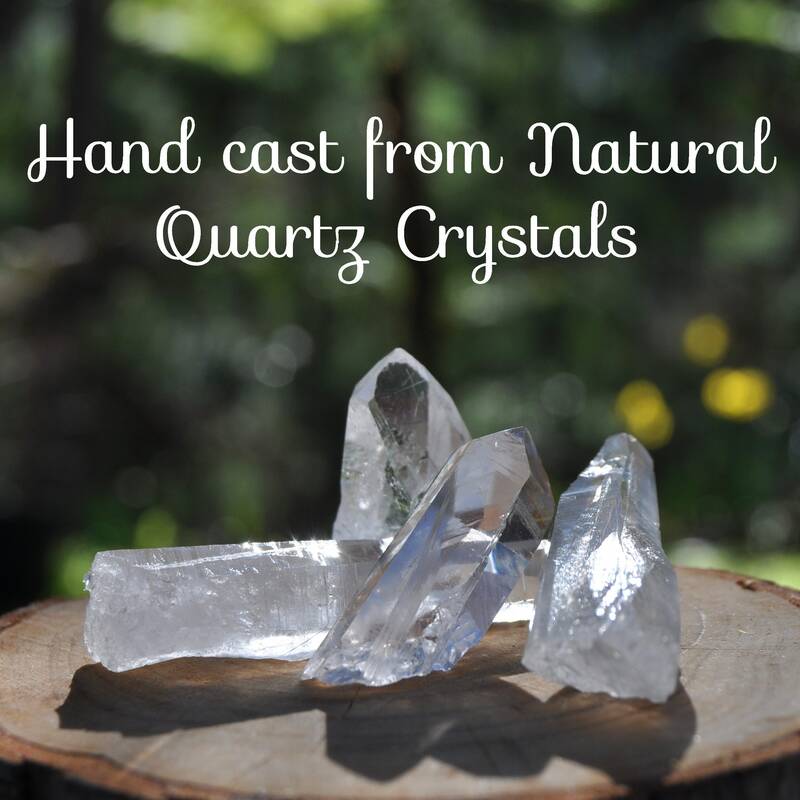 Unique as they are, these crystals could make a interesting gift for that one-of-kind person, or simply as a pretty boho peice to wear to your next festival.